Today, the National Council for the Social Studies (NCSS) added a supplement to its College, Career and Civic Life (C3) Framework for the academic study of religion in K-12 social studies instruction. The “Religious Studies Companion Document for the C3 Framework” recognizes religious studies as an essential part of the social studies curriculum. The C3 Framework is widely used by state and school district curriculum experts for social studies standards and curriculum development. The entire C3 Framework including the new companion document is now available at www.socialstudies.org/c3. NCSS Executive Director Lawrence Paska said, "The Religious Studies Companion Document expands the C3 Framework as a robust and living resource for social studies programs. It further guides the social studies as a place where inquiry draws on multiple disciplines in appropriate, evidence-based ways to help us ask and answer questions about our cultures and the wider world around us." "I commend NCSS for sending a strong message that religious literacy is not an add-on or afterthought,” said Charles Haynes, founding director of the Religious Freedom Center. “Religious literacy is critical for sustaining the American experiment in religious liberty and diversity. Only by educating students about religions and beliefs in ways that are constitutionally and academically sound can the United States continue to build one nation out of many cultures and faiths." The Companion Document builds upon the “AAR Guidelines for Teaching about Religion in K-12 Public Schools in the United States,” published in 2010. The academic approach used in the NCSS Supplement—initially articulated by James V. Panoch and adopted by the First Amendment Center—encourages student awareness of religions, but not acceptance of a particular religion; studying about religion, but not practicing religion; exposing students to a diversity of religious views, but not imposing any particular view; and educating students about all religions, but not promoting or denigrating religion. NCSS, in partnership with the Religious Freedom Center, plans to develop a professional development program around both the Companion Document and religion studies instruction within the K-12 curriculum. Recently, the NCSS Board of Directors approved a new religious studies special interest community to engage its members and the general public in teaching this discipline within the social studies. NCSS President Peggy S. Jackson said, "Our NCSS vision of ‘religious studies’ conveys that our organization encompasses both the history of religion and the freedom for our members to be or not be religious as a tenet of social studies education." The National Council for the Social Studies will promote the new Companion Document over the next year through conferences, publications, and teacher workshops. NCSS President-Elect and 2017 Conference Chair Terry Cherry said, "Politics and religion are two topics most people shy away from discussing. That will not be the case at the annual NCSS conference in San Francisco this November. The importance of students understanding different religions is imperative and a major part of any history. NCSS, along with the Religious Freedom Center, will host two panel discussions at the San Francisco conference." At the annual conference, NCSS will promote its new book, Teaching about Religion in the Social Studies Classroom. 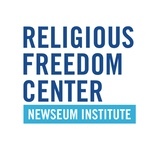 The Religious Freedom Center of the Newseum Institute is a nonpartisan national initiative focused on educating the public about the history, meaning and significance of religious freedom and promoting dialogue and understanding among people of all religions and none. The American Academy of Religion works to foster excellence in the academic study of religion and to enhance the public understanding of religion. The AAR’s approximately 9,000 members research or teach about religion at some 900 institutions of higher education.